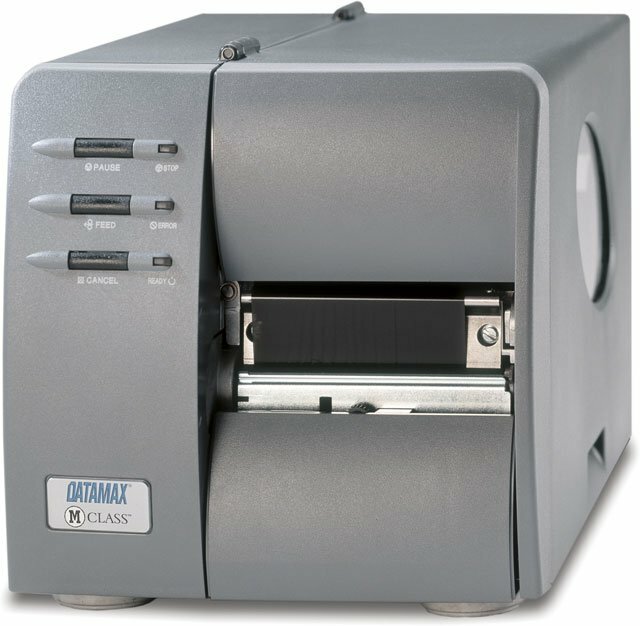 Datamax-O'Neil M-4206 - Thermal transfer, 203 dpi, 4.25 inch Print width, 6 ips Print speed, 4MB DRAM, 2MB Flash, Serial, Parallel and USB Interfaces, Coated Side Out, Plastic Cover and 110V Power supply. The M-4206 is the newest addition to the Family of Datamax-O-Neil printers and the first in a series of forthcoming M-Class printers. The M-Class combines industry-recognized engineering and a superior design, borrowed from the industry-leading Datamax-O-Neil I-Class printers. The M-4206 was designed to exceed the expectations of the most demanding users. The M-4206 is built on a die-cast aluminum chassis to enhance durability and performance. The printer's design allows for field installable options and quick media changes for users requiring mission-critical printing capabilities. The M-Class features a compact, modular design for use in environments with limited space and offers low total cost of ownership. Options such as Thermal transfer, Internal Rewind, Peel and Present and a Cutter are user-installable and removable. By incorporating these successful design features into a user-friendly, small footprint printer, the M-Class exceeds today's bar coding and labeling requirements. The M-Class printer is intended to address the needs of new users of bar coding technology, as well as the prominent choice for users who have aging thermal printers that need to be replaced. The Datamax-O'Neil K12-00-38000000 is also known as DMX-M4206CO	or K120038000000	.